At Globe School of Motoring, we are known for our patient, friendly instruction and high pass rates. We have both male and female instructors who can put even the most nervous drivers at ease in no time. Learning how to drive can be fun - take it from the experts! Contact Globe School of Motoring via the details on our contact page to get more information or make a booking. All enquiries are welcome. Our fully qualified driving instructors will teach you all the skills of a good driver. 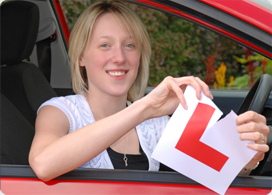 In all of our driving lessons great emphasis is placed on safety and consideration for other road users. During your driving lessons, our driving instructors cover all aspects of driving, from theory to practical road skills, to enable you to become a safe and aware driver.